RESCHEDULED FROM OCT. 5-7 DUE TO HURRICANE FLORENCE. 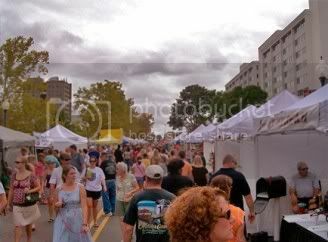 Riverfest is an annual street fair in historic downtown Wilmington, NC, and features street food, arts and crafts, dance performances, fireworks (Saturday at 8pm), children's activities, car shows, stand-up paddle (SUP) race, live music, and more -- all in a scenic setting along the banks of the Cape Fear River. Other attractions: Adventure Zone, Kidz Zone, Skateboard Tournament, Wakeboard Competition, Film Festival, Motorcross, and Great Waiters Wine Race. HOURS: Friday, 6-11pm; Saturday, 9:30am to 11pm; Sunday, 9:30am to 6pm.